An impression of the coral reef. 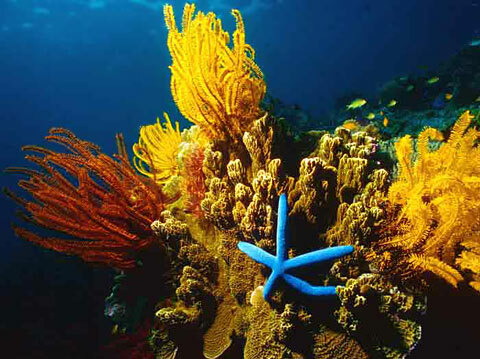 You can see here a pair of Bennett's feather stars (Oxycomanthus bennetti) and a blue starfish. Based on the rating of 250 users. This picture has been viewed 95 times.